These days, it’s no surprise to hear about primates controlling a robotic arm with their brains—even paralyzed humans have done it. But how would a brain need to adapt if one of the limbs was missing? 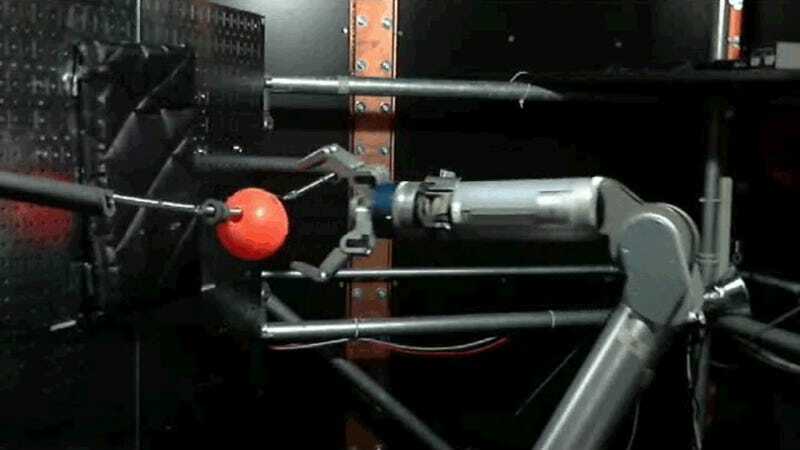 New research from scientists at several US universities hooked some rhesus monkeys up to a robot arm-controlling brain-machine interface. All of the simian subjects had lost one of their arms for therapeutic reasons years prior to the research—two of them as infants, before their arm fully developed. The scientists could see the brains changing in response to learning to use the limbs. “We have successfully demonstrated that learning to use a cortically-controlled brain-machine interface to perform a complex, sequential task is possible in chronically amputated animals,” the authors write in the study published yesterday in Nature Communications. The team randomly assigned a set of brain cells to control reaching and grasping in the arm, then trained the monkeys to use the arms in ten to twenty sessions. While the monkey with the implant on the opposite side of the brain from the amputated limb figured out the arm faster, both monkeys eventually got the hang of it. But more importantly, the physical makeup of the brain changed as the amputee monkeys learned to control the limb. “The amputee animal had very few connections [between neurons],” study author Karthikeyan Balasubramanian, University of Chicago researcher, told Gizmodo. “As it was learning, the network became denser and denser.” The non-amputee had to shut down some of its neurons’ connections before controlling the limb, he said. The data also implied that both monkeys would have done better with further training. One researcher, Miguel Nicolelis from Duke University, was not wowed by the study—he felt it “did not make any substantial new contribution to the field of brain-machine interfaces,” according to an email—he pointed out that prior research has demonstrated that such a task was possible with less-invasive methods. But University of Chicago professor and study author Nicholas Hatsopoulos explained that the study used invasive methods that could potentially provide better control of the prosthetic arm. Further, the researchers watched as the same neurons changed over a period of forty days as the monkeys learned to use the device. Regardless, the study adds credence to the fact that the brain reorganizes its neurons as it appears to do in this study. 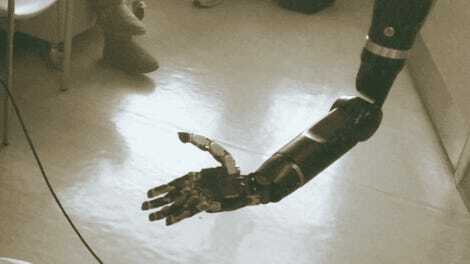 And maybe this knowledge could help amputees control robotic arms with a brain device such as this.